Award season continues to be kind to us, this time at the Summit International Awards, where our Guidepoint rebrand won a Gold SIA Award. Congrats to the team and to our partners at Guidepoint. Guidepost is a primary research company that connects professionals with industry experts who can answer their most pressing business questions. They came to us to create a new brand and identity that reflected the savvy, tenacious nature of their employees and the quality of service they provide. 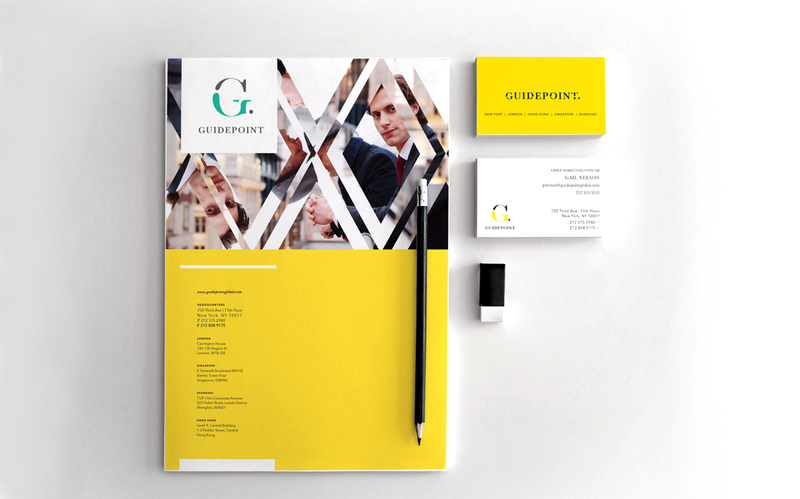 Working together with the Guidepoint team, we developed a strong visual identity and positioning for the brand that reflects the nuances of their business and differentiates them from others in their space.